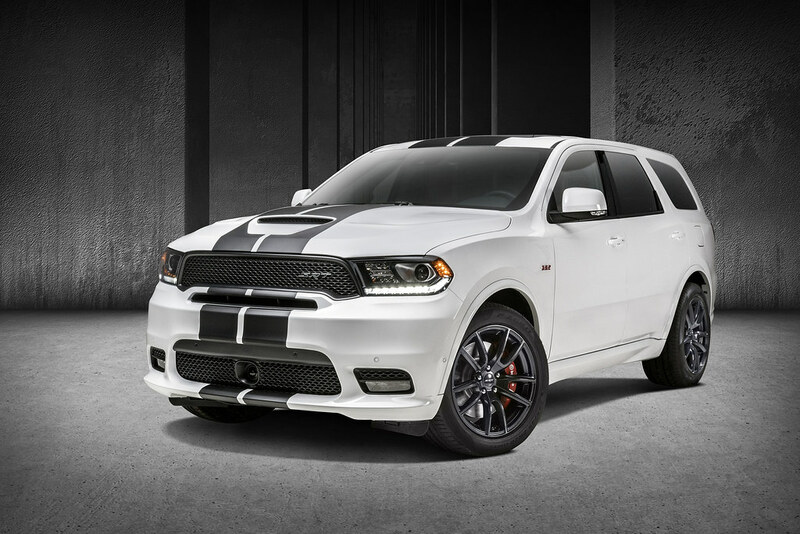 New for 2018, Durango R/T and SRT models will feature factory-custom stripes and available performance exhaust systems. 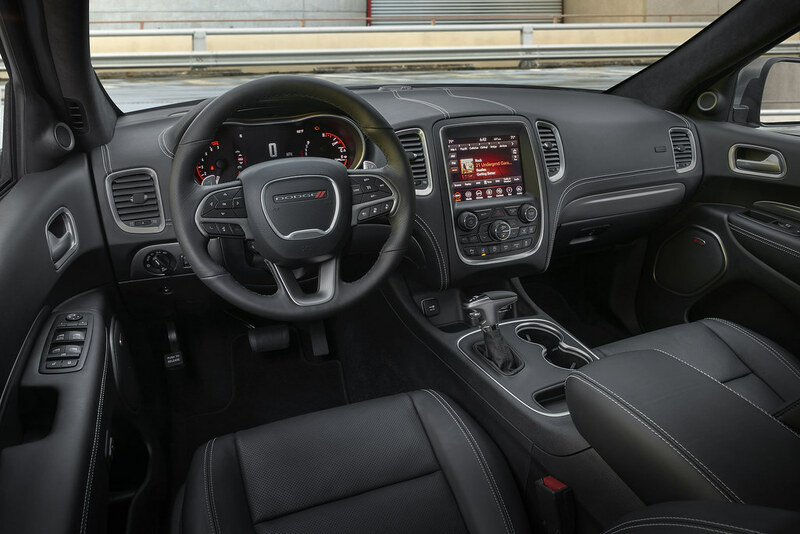 The Durango SRT will also offer an available carbon fiber interior and performance lowering spring kit, giving the menacing SUV an even lower stance and improved handling. Dodge will showcase the new features at the 2018 Chicago Auto Show, Feb. 7-19. New dual-center exterior stripe design covers the front and rear fascias, hood, portions of the roof and the tailgate. 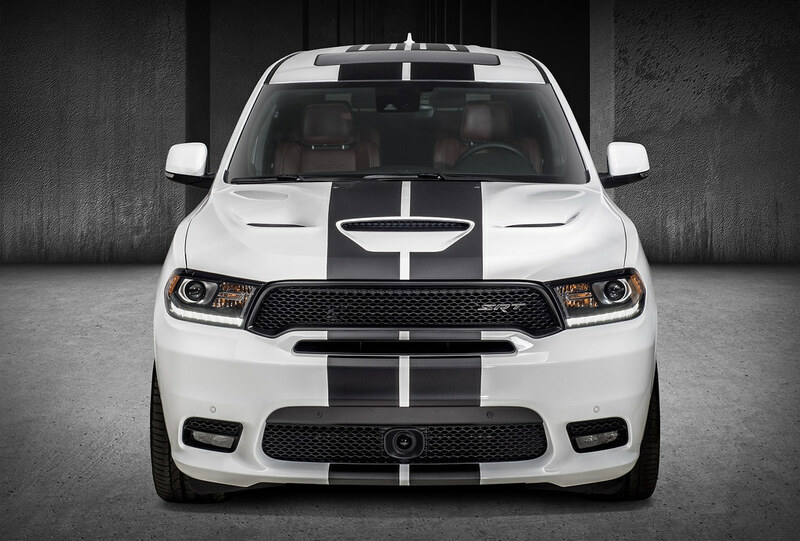 The dual stripe is tailored to the signature NACA duct-hood vent to emphasize the Durango R/T and Durango SRT models functional yet aggressive design. With a U.S. Manufacturer’s Suggested Retail Price (MSRP) of $1,195, the stripes are offered in five colors: Bright Blue, Flame Red, Gunmetal Low Gloss (metallic finish), Low Gloss Black and Sterling Silver (metallic finish). Dealer orders for the new stripe package will start in March 2018. Mopar’s new performance exhaust systems are bolt on, high-performance units factory-tuned for improved flow, sound and overall performance. The exhaust system’s chromium 304 stainless steel construction improves corrosion resistance. Stainless steel band-style clamps provide tight seals and make installation easy. Welded and polished 4-inch tips provide an aggressive appearance. 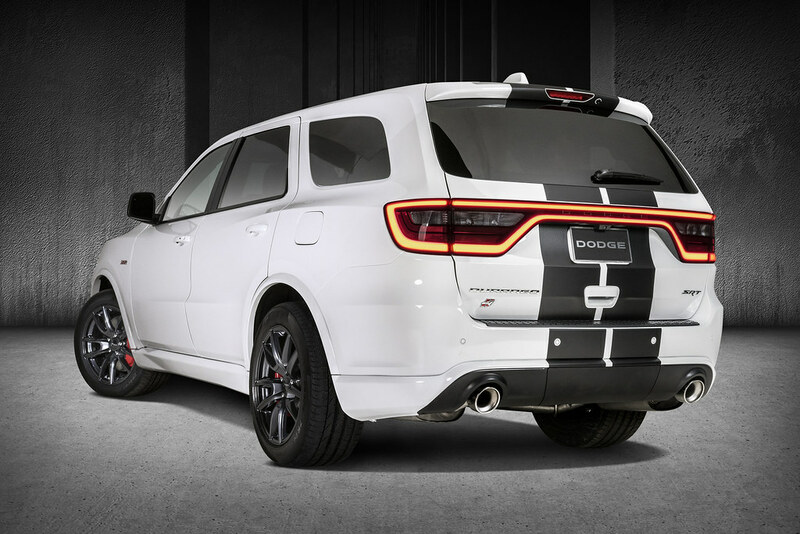 Both exhaust systems were developed in concert with Dodge//SRT engineers and designers, which provided access to proprietary sound data, creating unique and unmistakable sound characteristics. The new performance exhaust system for the Durango SRT (Part Number 77072487) is priced at a U.S. MSRP of $1,850 and will be available in the second quarter of 2018. The new Durango R/T system (Part Number 77072479) is priced at a U.S. MSRP of $1,595 and is available now. Mopar’s performance lowering spring kit enhances the Durango SRT’s already outstanding high-speed cornering stability and consistency. The new springs lower the fastest SUV in its class an average of 15 mm (0.6 inches) closer to the pavement for improved handling and an in-your-face vehicle stance. As with the performance exhaust, Mopar worked closely with Dodge//SRT engineers and used proprietary data — unavailable to the aftermarket — to tune the lowering springs to the factory-fitted dampers. Performance gains include less rear-end squat during acceleration, less nose dive under braking and reduced body roll while cornering. The new performance lowering spring kit (Part Number 77072488) is priced at a U.S. MSRP of $325 and will be available in March. 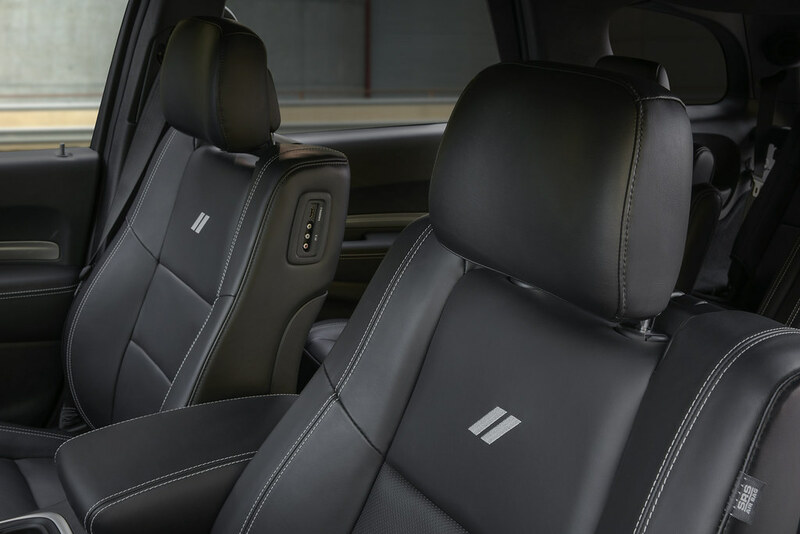 The new SRT Interior Appearance Group, which features a premium-wrapped instrument panel, Dinamica soft-touch headliner and accent paint on speaker trim rings, adds an authentic carbon-fiber instrument panel and door bezels. Available for orders in February at a U.S. MSRP of $2,495.